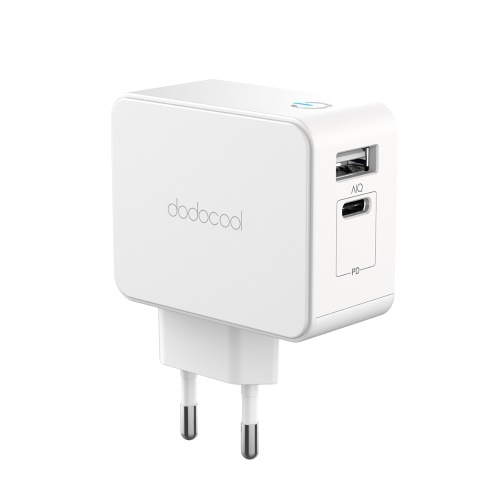 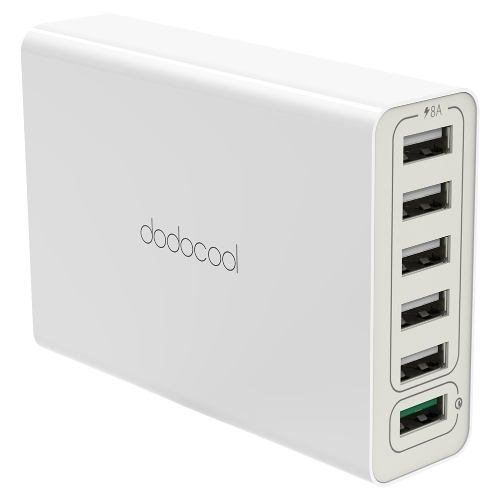 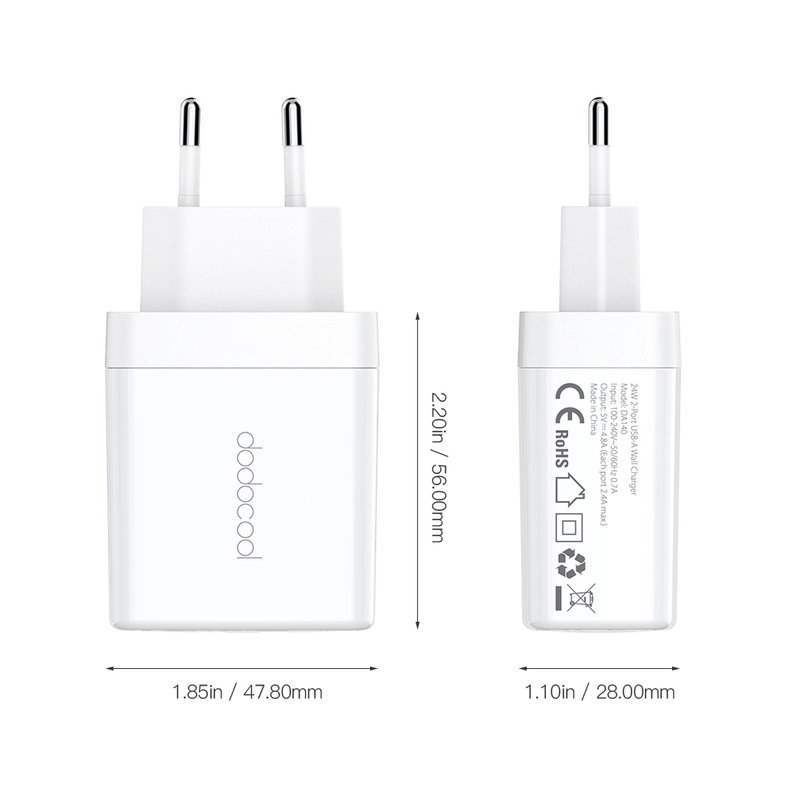 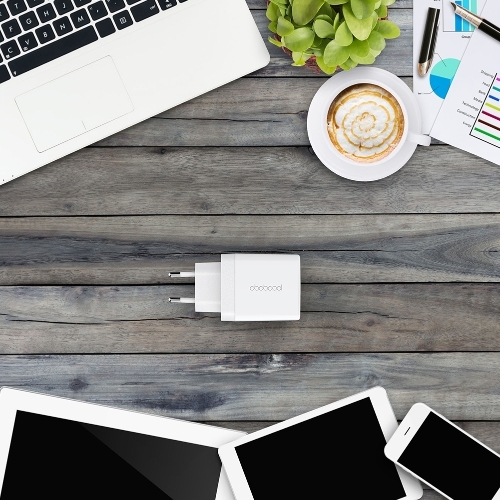 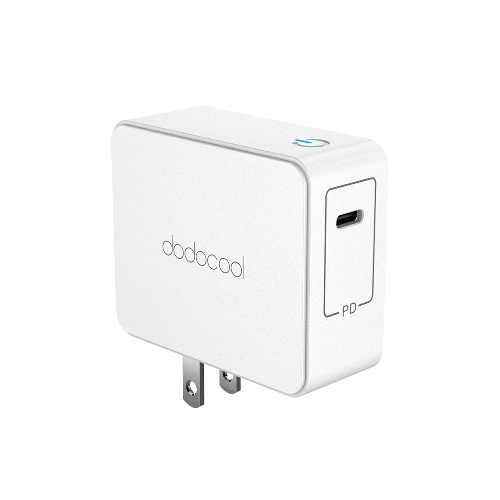 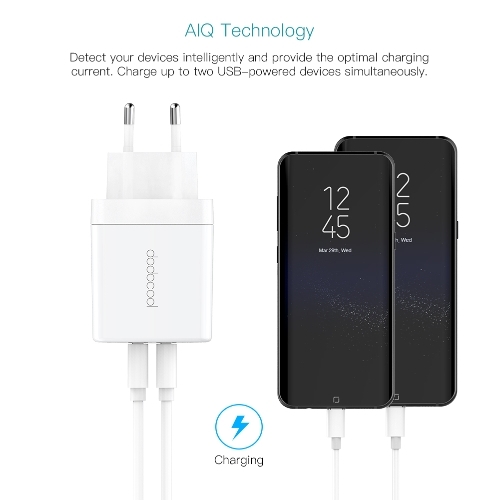 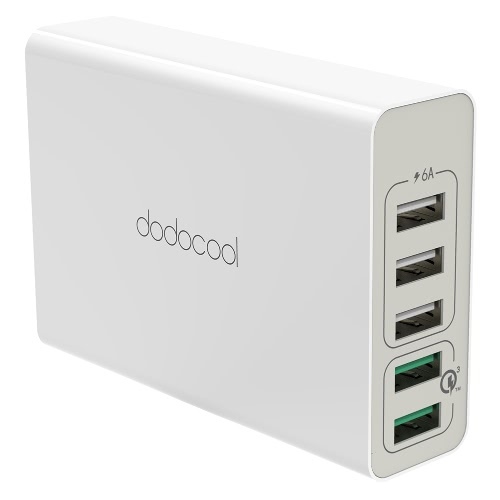 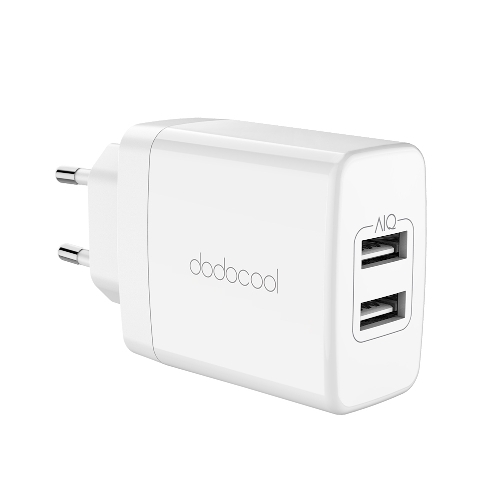 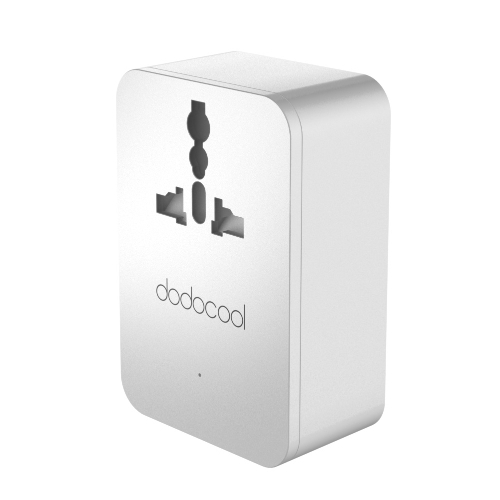 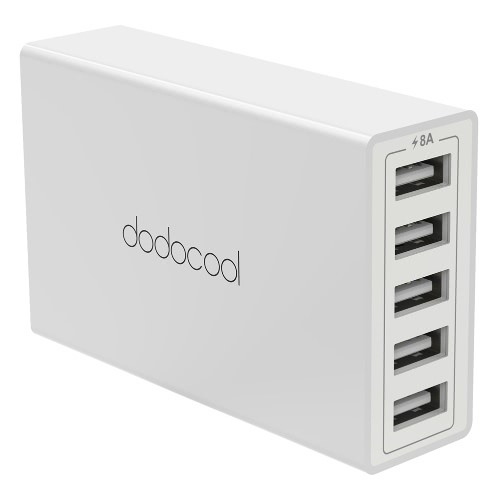 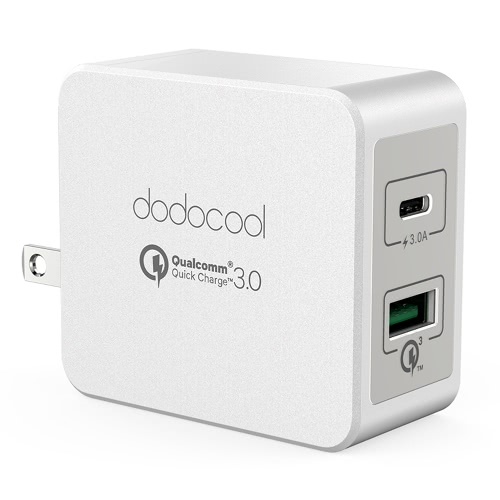 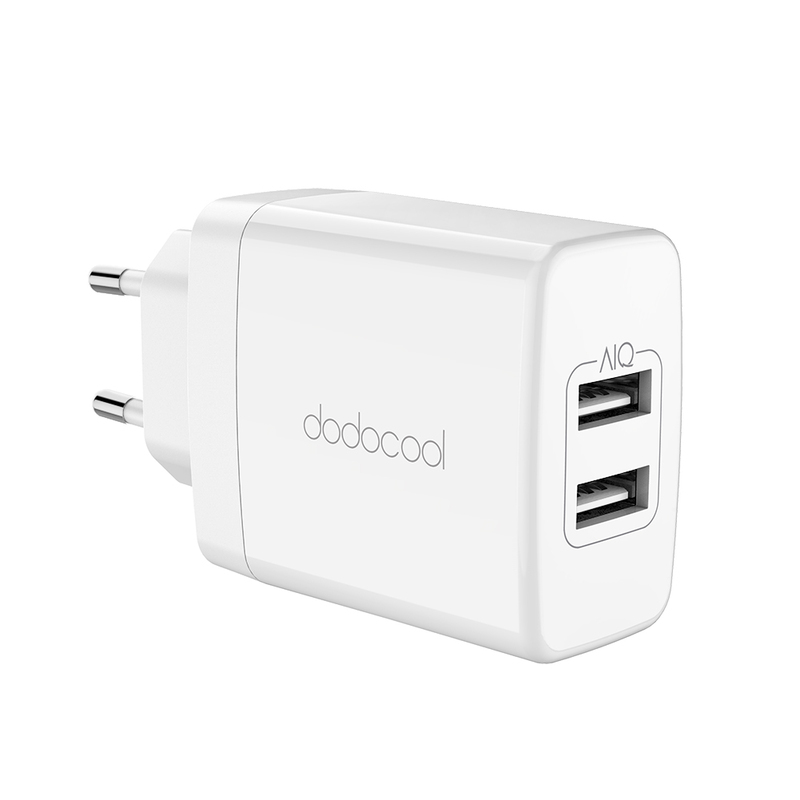 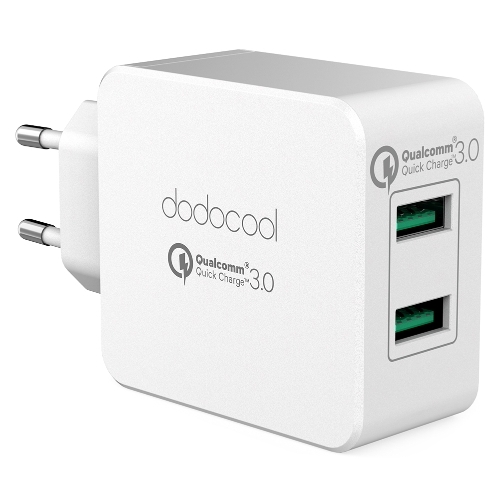 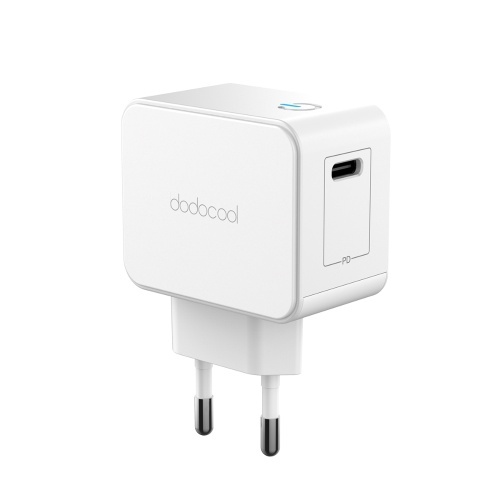 dodocool 24W 2-Port USB-A Wall Charger provides two high-speed USB charging ports and enables you to charge up to two USB-powered devices simultaneously. 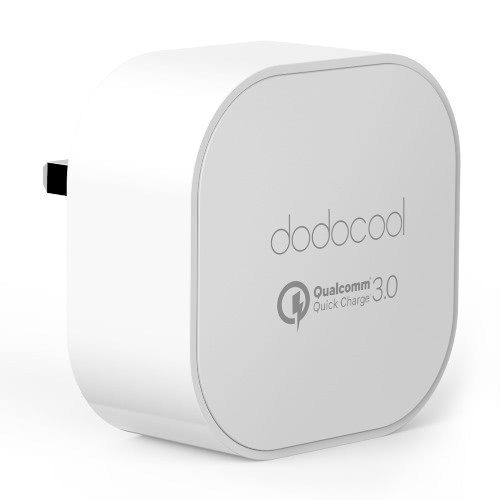 Identify the exact charging current automatically to meet your needs. Detect your devices intelligently and provide the optimal charging current. 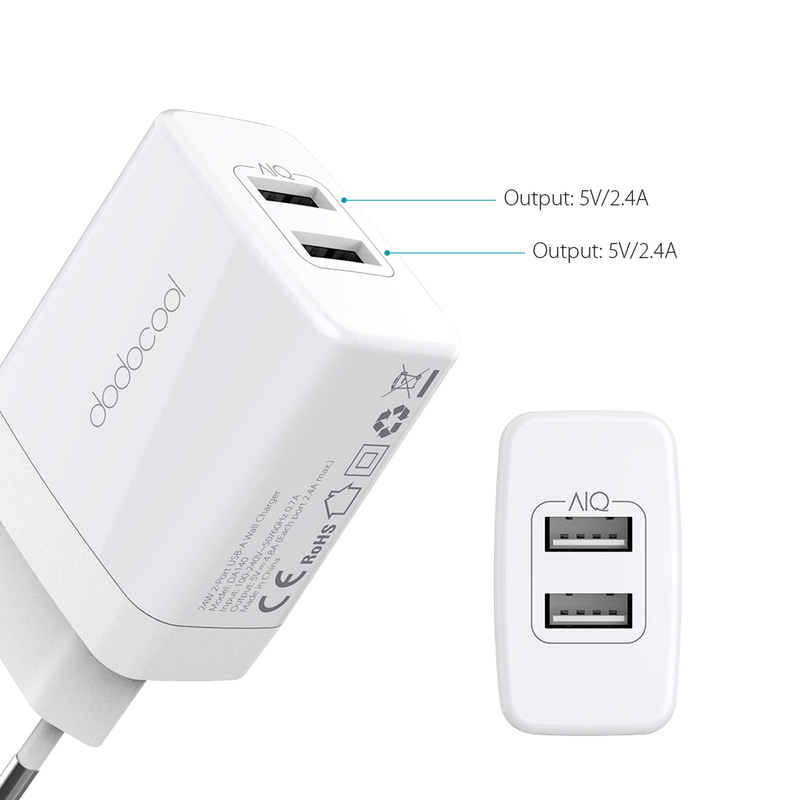 Charge up to two USB-powered devices simultaneously. Built-in AIQ technology enables it to intelligently deliver the optimal current to USB powered devices. Charge your USB-A powered smartphones, tablets, power banks or other devices with the optimal charging current, up to 2.4A per port. 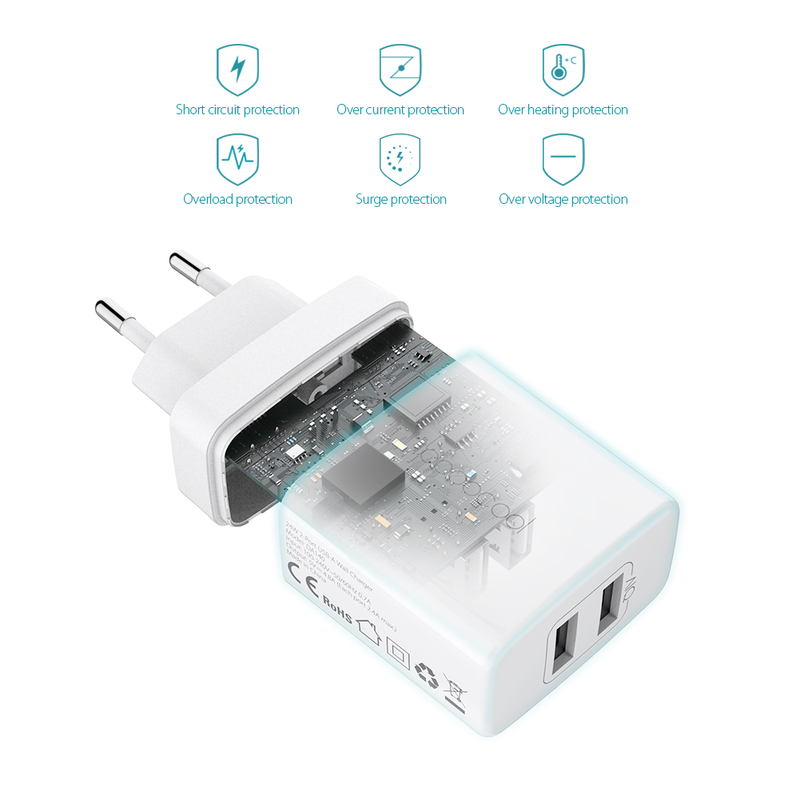 Built-in over-heating, over-current, over-voltage, overload, short-circuit protection and surge protection make charging safe, avoiding any risk of damage to your devices. International voltage compatibility (AC 100-240 V) and incredibly compact size make it an ideal travel companion. 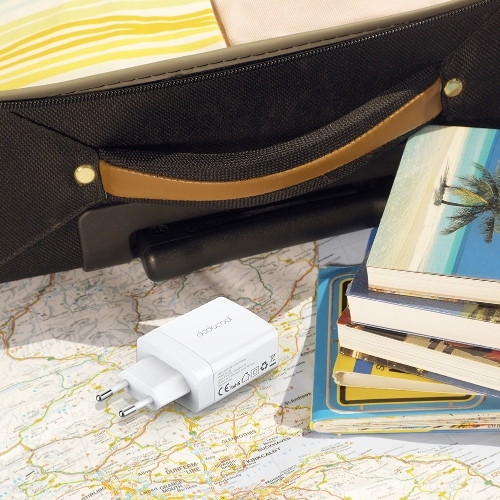 Easily put it into your pocket, bag or suitcase. 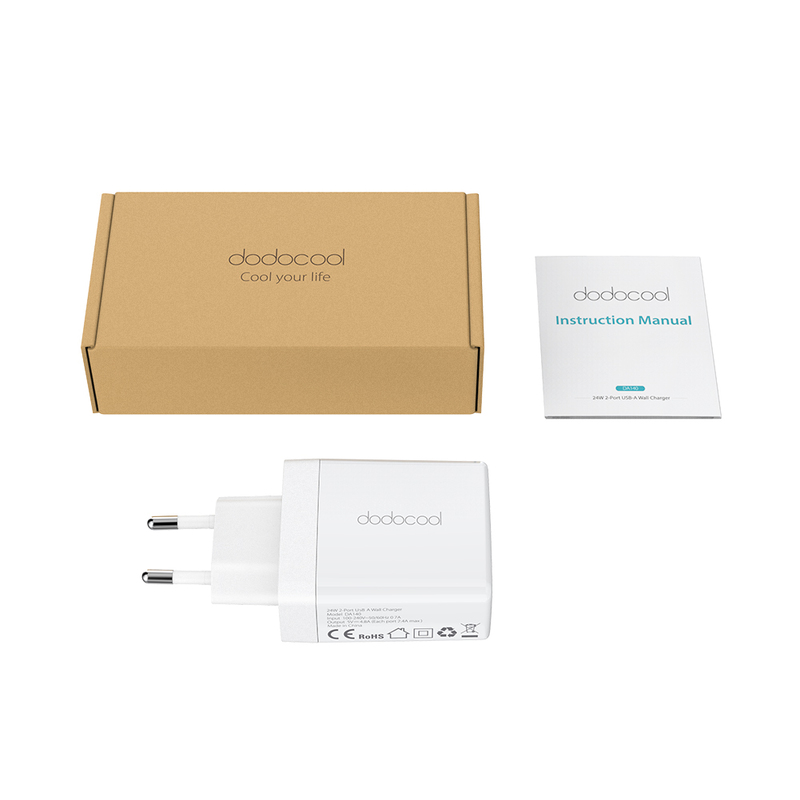 Provide 18-month warranty for quality-related issues. 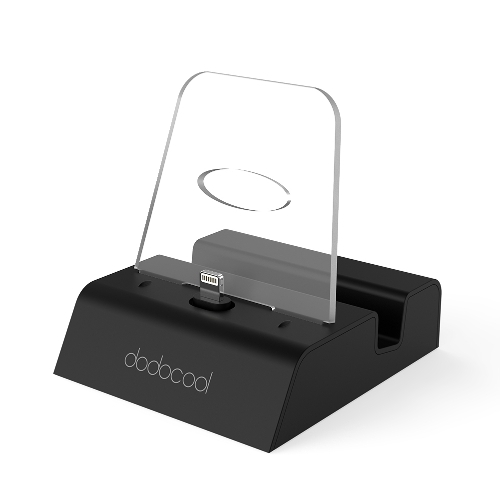 Our friendly and reliable customer service will respond to you for lifetime technical support.